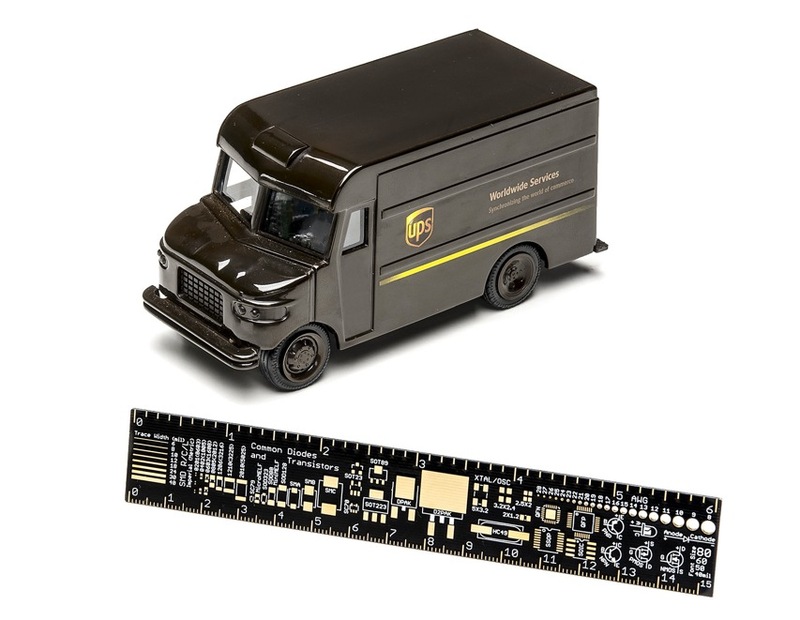 Free PCB ruler with all orders over $100 and FREE UPS ground shipping (Continental USA) for orders $200 or more « Adafruit Industries – Makers, hackers, artists, designers and engineers! Adafruit offers exciting deals and free items when you shop with us. As of June 10, 2014 2:00pm we are currently offering a FREE Adafruit PCB Ruler – 6″ with purchase over $99 or more and FREE UPS ground (Continental USA) for orders $200 or more. *While supplies last, some restrictions apply. While supplies last, some restrictions apply! *Please note: This special may change at any time. If the FREE Adafruit PCB Ruler – 6″ is not available it will not be displayed in your shopping cart. The free shipping is UPS ground, USA only, continental USA. This is trackable, guaranteed UPS ground shipping! Any discount codes and special free items are not available for purchase orders (educational/school purchases), resellers, and makerspace/hackerspaces that are resellers. Offer is only for orders starting on June 10, 2014 2:00pm, when the special ends we’ll remove the eligible free item (Adafruit PCB Ruler – 6″) from the deals page and update any communications regarding our promotion. There are no back orders, rainchecks or substitutions for free items.